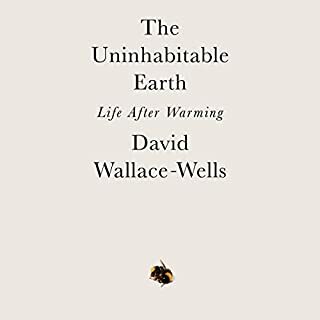 Reissued on the 10th anniversary of its publication, this classic work on our environmental crisis features a new introduction by the author, reviewing both the progress and ground lost in the fight to save the Earth. 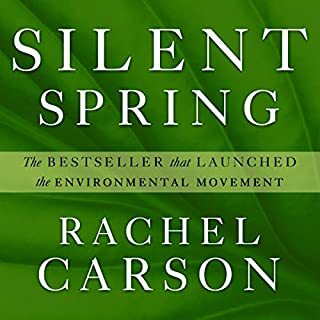 This impassioned plea for radical and life-renewing change is today still considered a groundbreaking work in environmental studies. 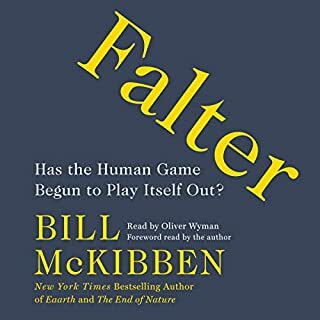 McKibben's argument that the survival of the globe is dependent on a fundamental, philosophical shift in the way we relate to nature is more relevant than ever. Conservationist Rachel Carson spent over six years documenting the effects on DDT, a synthetic organic compound used as an insecticide, on numerous communities. Her analysis revealed that such powerful, persistent chemical pesticides have been used without a full understanding of the extent of their potential harm to the whole biota, including the damage they've caused to wildlife, birds, bees, agricultural animals, domestic pets, and even humans. An instant best seller that was read by President Kennedy during the summer of 1962, this classic remains one of the best introductions to the complicated and controversial subject. As the host of Radio Free Vermont - "underground, underpowered, and underfoot" - 72-year-old Vern Barclay is currently broadcasting from an "undisclosed and double-secret location". With the help of a young computer prodigy named Perry Alterson, Vern uses his radio show to advocate for a simple yet radical idea: an independent Vermont, one where the state secedes from the United States and operates under a free local economy. The award-winning climate scientist Michael E. Mann and the Pulitzer Prize-winning political cartoonist Tom Toles have been on the front lines of the fight against climate denialism for most of their careers. They have witnessed the manipulation of the media by business and political interests and the unconscionable play to partisanship on issues that affect the well-being of billions. The lessons they have learned have been invaluable, inspiring this brilliant escape hatch from the madhouse of the climate wars. Necessary information for all of us. 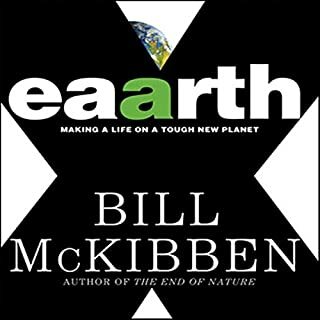 Best-selling author and environmental activist Bill McKibben recounts the personal and global story of the fight to build and preserve a sustainable planet. Bill McKibben is not a person you'd expect to find handcuffed and behind bars, but that's where he found himself in the summer of 2011 after leading the largest civil disobedience in 30 years, protesting the Keystone XL pipeline in front of the White House. With the Arctic melting, the Midwest in drought, and Irene scouring the Atlantic, McKibben recognized that action was needed if solutions were to be found. Some of those would come at the local level, where McKibben joined forces with a Vermont beekeeper raising his hives as part of the growing trend toward local food. Other solutions would come from a much larger fight against the fossil-fuel industry as a whole. 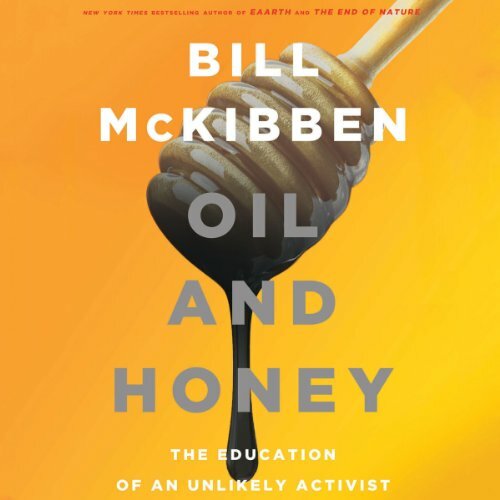 Oil and Honey is McKibben's account of these two necessary and mutually reinforcing sides of the global climate fight - from the center of the maelstrom and from the growing hive of small-scale local answers. With empathy and passion he makes the case for a renewed commitment on both levels, telling the story of raising one year’s honey crop and building a social movement that’s still cresting. Informative, historical and well written. Would you consider the audio edition of Oil and Honey to be better than the print version? Easy listening, but handy with a computer nearby for research. What was one of the most memorable moments of Oil and Honey? Speaking about the rise of the 350 movement on a global scale (fighting for the environment, against the Keystone Pipeline in particular), and the plight of bees and his efforts on a local level (interspersed with personal notes on meetings with important figures or events, etc.) made for very interesting read. I unfairly presumed this would be a dry read/listen, but feel far better informed, and even entertained after having read this. Which character – as performed by Kevin T. Collins – was your favorite? 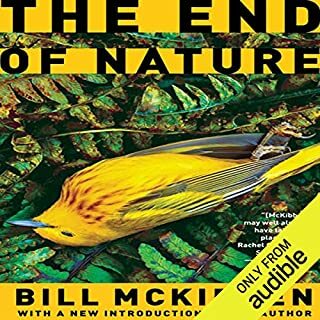 Where does Oil and Honey rank among all the audiobooks you’ve listened to so far? McKibben debunks climate change deniers with hard data that is easily understood. The overabundance of fossil fuels, specifically known oil and gas reserves. The data does not consider supplies from fracking, tar sands, shale and coal. We can burn up our planet many times over and turn our atmosphere into one like Venus that will not sustain our life forms. When deniers say to me that these events have occurred before and the planet has survived, I have some factoids: specifically, this number of extreme weather events has not occurred during the last 120,000 years. The number of extreme events is compounding each year as global temperatures rise. This book is a good tandem for The Sixth Extinction. The emphasis on bees and honey is a stretch., detracting from what the book is about. The reader ends too many sentences with question marks. Authors personal story about his struggle with Keystone Excel and beyond. I'm not sure what I was expecting but it was not this. The last chapter is cut off at the end of this recording- so disappointing! Amazing book. Well told story of climate change and the power of community action. Great interplay between bees and the state of our world to understand climate change, people influencing decisions, and our collective ability to take action. This book so clearly illustrates the in consciousness of our current capital system and what we can do to address the coming global situations. 350.org has built a powerful movementand I really respect Bill McKibben. What made the experience of listening to Oil and Honey the most enjoyable? The first half of Oil and Honey is very interesting. 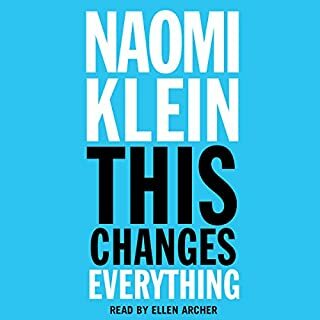 It is encouraging to hear about Bill McKibben's struggles and thoughts about becoming a climate activist: it is rare to hear people talk about their doubts. The current available download (8 hours and 39 minutes) is only the first half (or so) of the book. The download ends mid-paragraph. Until Audible fixes their audiofile, I can't speak to the quality or interest of the rest of the book. Informative and entertaining. Easy to follow and educational. Powerful and thought provoking. could change your would. Recommended.